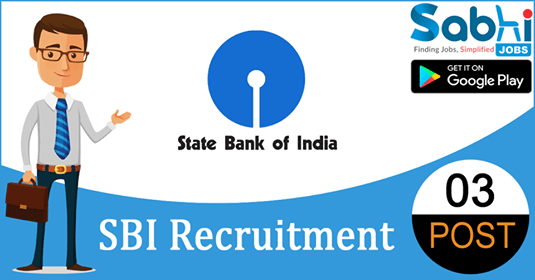 SBI recruitment 2018-19 notification has been released on official website www.sbi.co.in for the recruitment of 3 vacancies at State Bank of India. The candidate who is looking for Research Analyst can apply online application from 8th June 2018 and before 18th June 2018. How to Apply Interested and eligible candidates may apply online application form at official website www.sbi.co.in from 8th June 2018 to 18th June 2018. Candidates belonging to reserved category including Persons with disabilities, for whom no reservation has been mentioned, are free to apply for vacancies announced for unreserved category and they must fulfill all the eligibility conditions applicable to unreserved category. Outstation candidates, who may be called for interview after short-listing will be reimbursed the cost of travel (Air fare – Economy Class) for the shortest route in India or actual expenses on the basis of actual journey. Local transportation will not be reimbursed. A candidate, if found ineligible for the post will not be permitted to appear for the interview and will not be reimbursed any fare.